All models can be used for all types of stillwater feeder fishing, using everything from small cage feeders for bream to medium and large method feeders for carp on day ticket waters. The balance of the blanks delivers comfortable casting power in the lower section combined with a parabolic fish-playing action in the middle and tip areas. The 80gr versions are for most forms of normal weight cage feeder fishing on still or slow moving venues were you would fish with feeder upto a maximum of 80gr. There are 3 rods in this range 3.3/3.6/3.9m in length all taking a 2.7mm diameter tip. Comes supplied with 1 glass tip and 2 carbon tips. 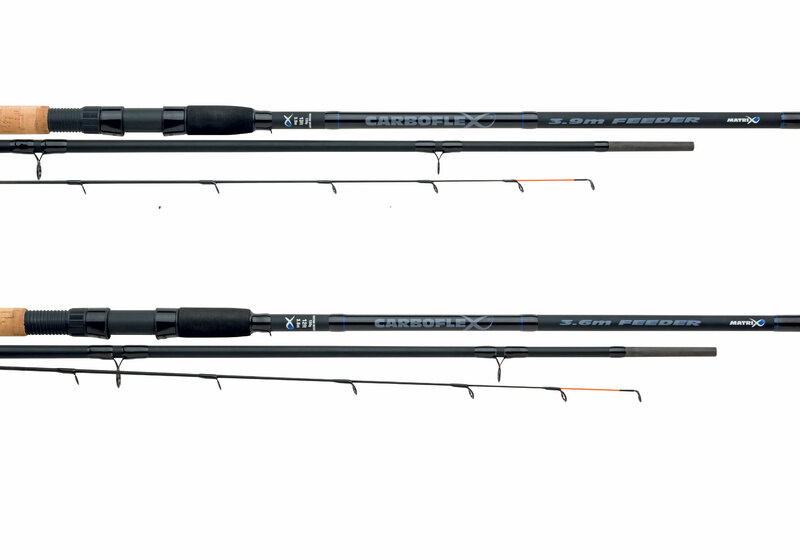 The 150gr rods are for larger feeder and for fishing on rivers or big canals. Comes in 3 different lengths of 3.6/3.9/4.2m and supplied with 3 tips. Please note tips for these rods are a bigger diameter than the 80gr rods.